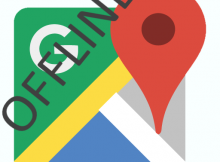 Download Save Offline Google Map on app. Map helps you to navigate and find the nearest point of Interest location when you are travelling and at unknown place. While Network service provider doesn’t guarantee you to provide full Network at each and every places you visit, which results in either no or slow internet. Keeping that in mind Google rolled out Offline Map to their user, by letting them to save and download a part of area into their device. This will not only solve the above stated problem but would surely going to help you save mobile data. Google updated this feature in Mid 2015 for Android Application and in December 2015 for iOS application, which lets users to see live map offline. You may also see now the near by Gas station on Map. Both Search and direction Navigation feature would be supported even after having no internet connection if the Location Map area is downloaded. 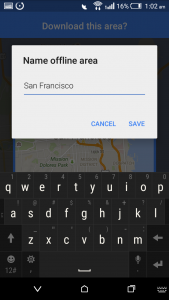 Below are the steps to know how to download offline Google Map in Android and iOS user. 1.) Open Google Map Application. 2.) If not signed in, then log in to the application. Click on mobile navigation button, to open up side bar. 3.) Check Offline area in the slidder. If offline Area option is not found, then click on Your Places and scroll down to bottom where it says to download the map area. 4.) Choose the area and click on download button to save the viewable area of Map. Enter the name of the Offline Map. Note: You cannot select too large area. If you are attempting to do so, then app will ask you to further zoom in to reduce the area. 5.) Let download to get finished. You can see your offline map at “Your Places” option or at “Offline Area” option. Once downloaded, you can view the saved area of map without internet connection. The biggest size which can be downloaded for an offline area is 120,000 square kilometer. This area is more than enough to acquire a single city. 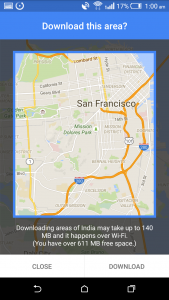 Downloading offline area may not be available in some area or region due to some limitation as per Google. Offline area is free to download, but your mobile data charges will apply. You would get the options to rename, update or delete the offline Map saved, at “Your location” or “Offline Area” Panel. 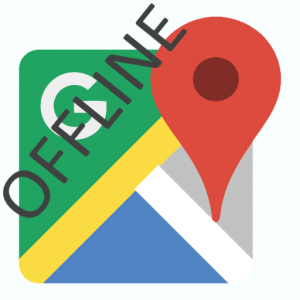 What you think about this Offline Google Map feature? Do comment below with your views.